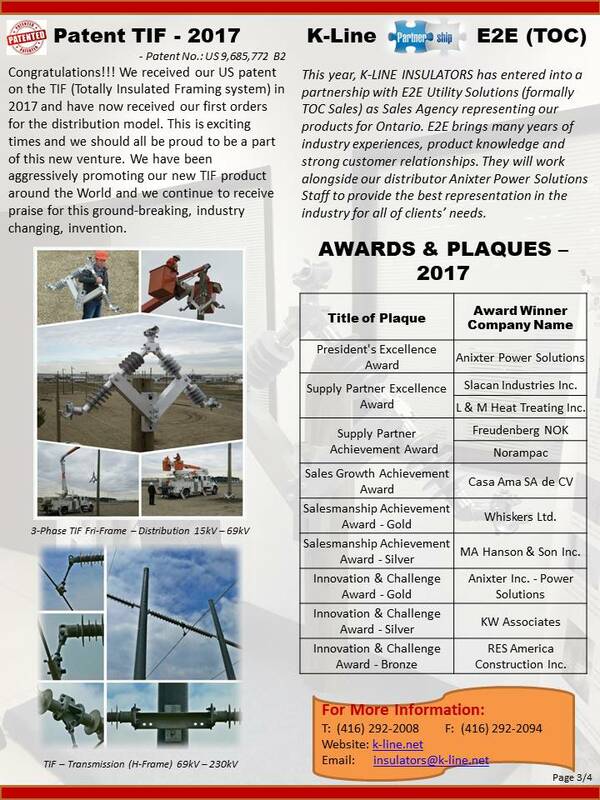 We are happy to release the newest issue of K-Line News. Please welcome Staci Post, Sales & Marketing Manager! K-LINE INSULATORS LIMITED (KLI) announced today that Staci Post has joined the KLI team to further develop its growing portfolio of regional, national and international accounts. Staci Post comes with a wealth of experience within the Industry, having spent the last 21 years working for a well known Ontario Distributor. Staci joins K-LINE INSULATORS LIMITED as a Sales & Marketing Manager to lead the KLI Sales teams in Canada, the United States and Mexico as well as the KLI global network of Sales Representatives. Staci’s start date is effective June 13, 2016. Staci will play a key role in providing and implementing high quality solutions for our customers. We are happy to release the newest issue of K-Line News. Please click on the link below to view and download the newsletter. We are happy to release the newest issue of K-Line Kuarterly. Please click on the link below to view and download the newsletter. Customer Request leads to “Green” packaging solution. ECOPACK is a new packaging initiative at K-LINE INSULATORS LIMITED. In collaboration with Utility Customers and our Distribution Partner, HD SUPPLY POWER SOLUTIONS, we are working to do our part in reducing waste and protecting our fragile environment.